at least two things were certain. One; it was never a beer, and secondly, the beers were almost guaranteed to be unremarkable, 4%-5% ABV, yellow, fizzy, lagers with no distinguishing characteristics, made by a giant national or multinational brewing corporation. Now, for what it’s worth, that last sentence still describes about 95% of the world’s beer. No matter what your thoughts are on that majority, it’s the other 5% that makes beer exciting. That’s where the fun and variety of beer styles comes in. But just what is in the other 5%? According to two of North America’s beer arbiters, there are a host of beer styles. The 2008 Beer Judge Certification Program (BJCP) Guidelines had about 80 different beer styles in 23 categories. When revamped in 2015, another 11 new categories and over 40 new styles were added. The American Brewers Association has about 160 styles in 96 categories set for their 2016 judging competition and festival this October in Denver. Both of these groups include “specialty” categories where unusual or unique beers can be categorized, so, in truth, the number is only restricted by the imaginations of brewers. 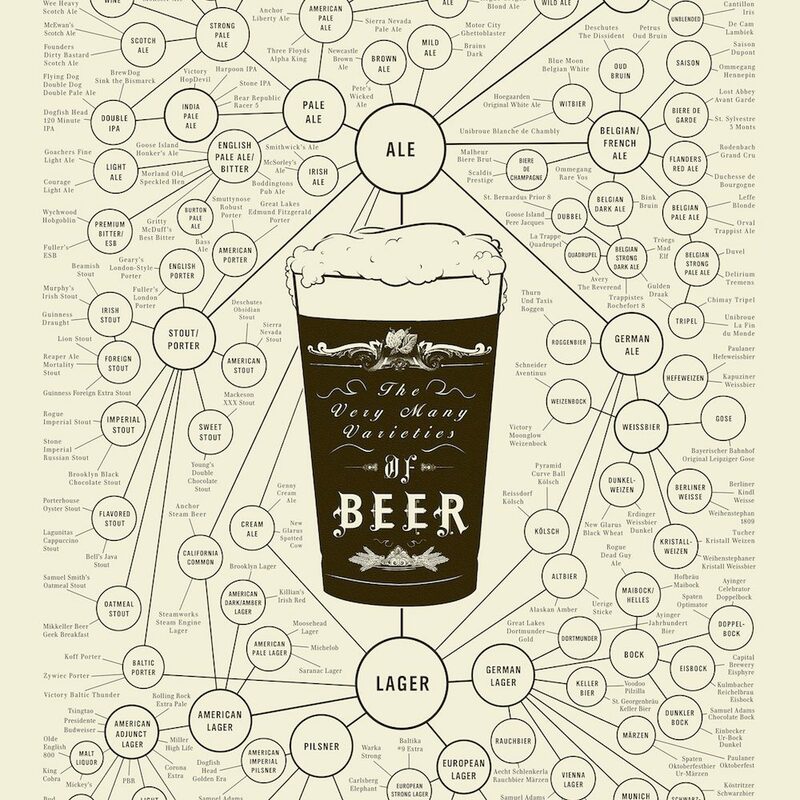 Obviously there are a lot of different beers styles out there. However, many of the above mentioned categories have very few commercially brewed beers in them. Others, like the categories named “Standard American Beer” and “International Lager”, contain most of the world’s Big Brewery Beers. You know who they are – they are the breweries and beers you see in television and print ads, who sponsor most of the world’s sporting events and are ubiquitous in practically every bar and store on earth. In fact, in almost every country, they are amongst the top selling beers. If they are not the best selling beer, a local version of these same styles, probably produced by a brewery owned by one of the big brewery consortia, likely is. 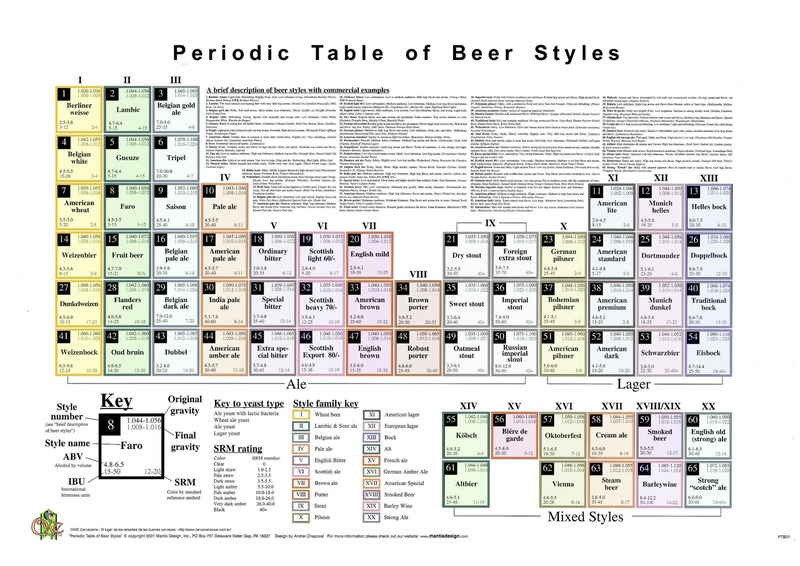 So, if so much of the world’s beers are essentially iterations of the same thing, why are there so many different styles? If the other 5% offers the variety, just how do you get so many out of beer’s four main ingredients? Why does Heineken look and taste different from Guinness? And where did all these IPAs come from? All good questions. 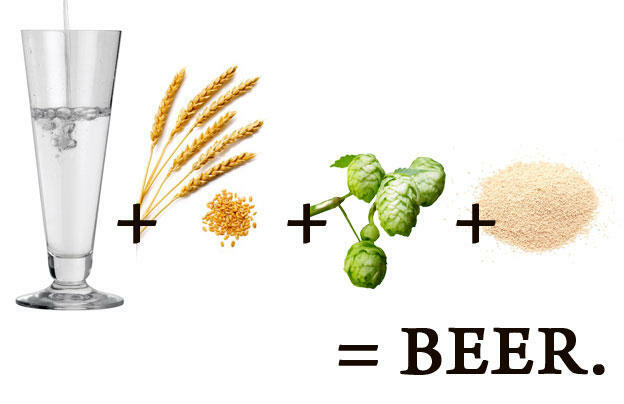 The diversity is derived in part by what varieties of three of the main ingredients (malt, yeast, and hops) are used. Water was just water until the late 19th Century, whereupon science had progressed to being able to detect what minerals were in each brewery’s water. Today, we know different water influences different beer styles, but historically, these styles developed organically from the water drawn at each brewery location. so we will begin elsewhere. What does differentiate all the different beer varieties is the inherent qualities of the beer. These are the original and final gravities (from which the alcohol by volume (ABV) is calculated), the colour (expressed by Standard Reference Method (SRM)), and the bitterness (expressed in International Bitterness Units (IBU)). In the weeks and months ahead, this column will first explain what these qualities are and how they are determined. Then, we will explore the great varieties of beer, one category at a time, and give you information on a particular style; its ingredients, aromas, appearance, flavour, historical background and common commercial examples. It will be a marvelous journey through the wonderful world of beer and here’s hoping you come along for the ride. Want to learn more about Beer? Check out the ABF Beer School with David Nuttall.